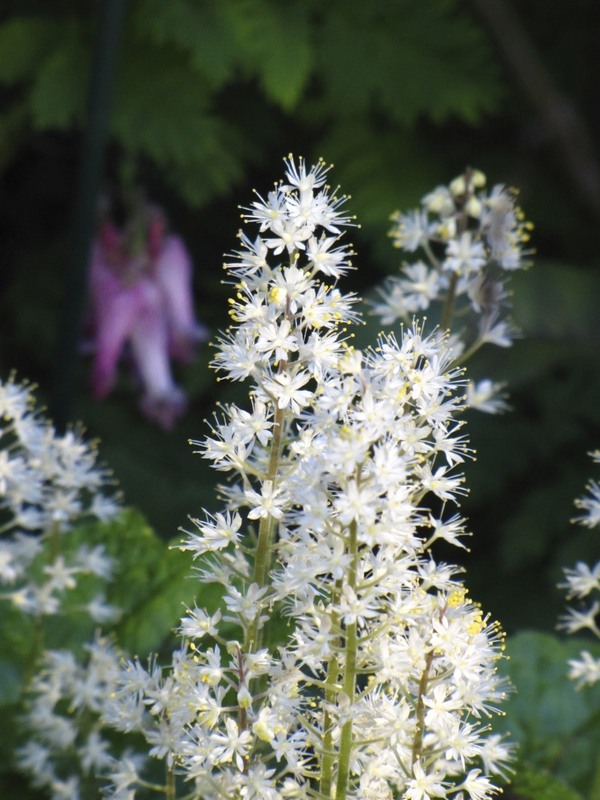 There are few perennials that bloom for more than a month or two. Generally, to get a long season bloom, gardeners may have to resort to annuals from other places. But native plant gardeners have plants that will bloom for a long time. Many of the native perennials listed below have been tinkered with. Breeders selected for certain characteristics as to height, bloom color, foliage color, etc. This is great for us gardeners and the choices of native plants have expanded. The plants listed are available at nurseries and native plant sales. Check the plant’s growth habit before you decided what to plant. The “re-bloomers” Bleeding Heart (Dicentra exam) – The initial bloom happens from April to May, but this charmer re-blooms all summer. Wherry’s Foamflower (Tiarella cordifolia var. collina) – April to May, then re-blooms sporadically throughout the summer. 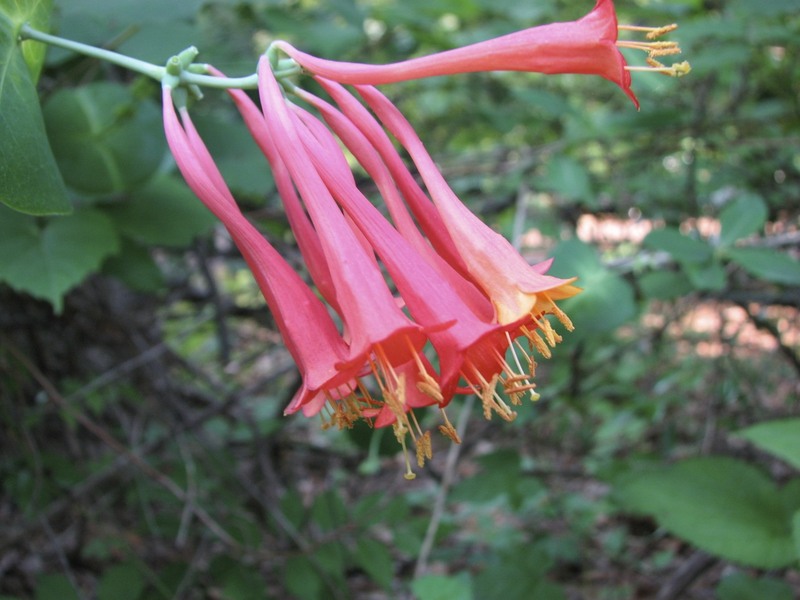 Trumpet Honeysuckle (Lonicera sempervirens). Photo by Donna L. Long.